Anyways, have you ever felt like this? I love laughing , you know why? Everyone's heard of this quote " Laughter is the best medicine", but did you know that there are actually laughing classes, where stressed people just sit there and laugh for the whole time . 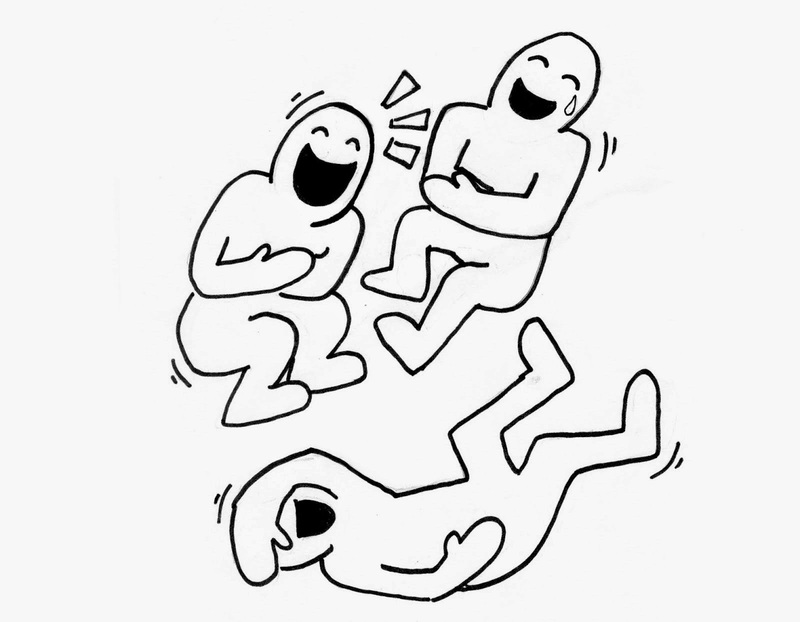 It's funny when you think of it, but don't underestimate how much good laughing can do to you:) Short and long term effects include organ stimulation, stress relief, better mood, healthier immune system and even.... pain relief. Have you heard of the phrase " Fake it till you make it" ? I'm not a very firm believer of it, but in this case, it actually does works. 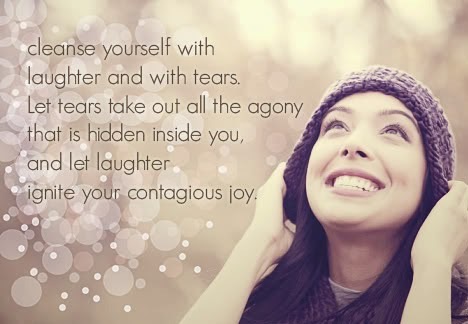 Instill happiness in yourself during the moments you feel nothing but misery, laugh out loud when you feel like doing nothing but crying and share the joy with others even if that's the last thing you want to do. Once you've mastered the ability to do that, it diverts your attention away from the negative things, sooner than you realise, you will be smiling at all the good things in life. That's about it for this post,:) Remember my lovely friend, laugh whenever you can:) Spread your happiness, because laughing is contagious. Maybe the next time you see people laughing, go up to them and join in ;) Haha I'm joking... but there's no harm in doing that! 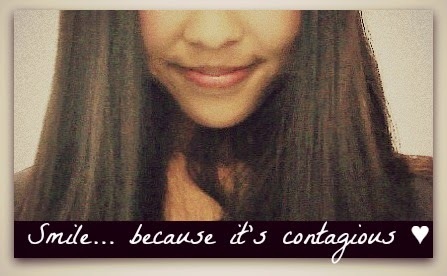 As long as you aren't like me..always laughing during the most inappropriate times haha * blushes* . Merci beacoup! ♥ Tu as un Blog très belle! Oh yea, totally! But it's pretty obvious if someone starts trembling like a maniac, attempting to hold back her laughter when everyone's busy singing hahaha! You're not alone- I laugh at the most awkward times. Like when my mom was ordering something at Tim Hortons. Always remember to lol! Hahahah! The person at the counter must have been like " wth!??!" Love this post! 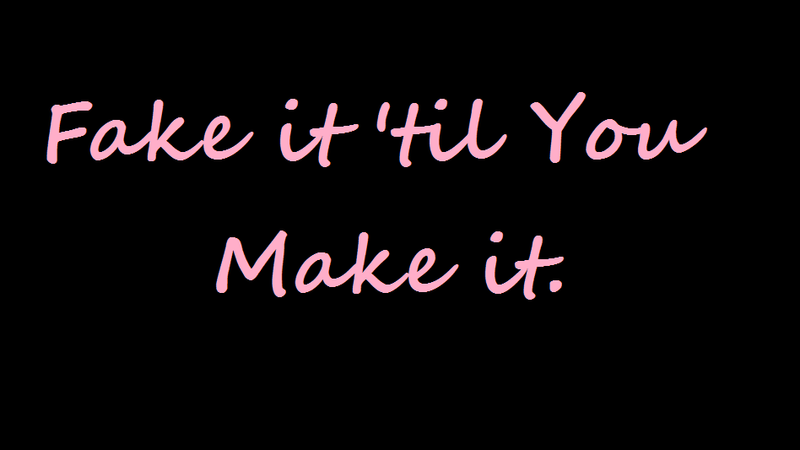 I need to start working on "Fake it till you Make it!" I wish I had read this yesterday haha..
Great post, me too need to start working on *Fake it till you make it*, lol so funny. Lovely blog here btw! Would you like to follow each other on GFC? Please let me know on my blog so I can follow back. Thank you. That is such a cute post! Would you like to follow each other? I'd love to keep in touch! Hey! im your new follower :) hopw you like my blog and you can follow me back. I tend to laugh at weird times too :) I would especially do it when I was stressed from finals in college. Good luck with your exams! Oh wowww! Never experienced that.. but once I was laughing so much that the teacher made me swap spots haha! Hahaha Thank you! :) I know... the baby pictures are adorable! Laughter is amazing. I love laughing. 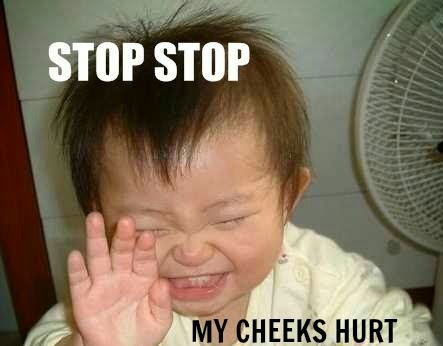 Sometimes, especially when my dad is in a funny mood, I laugh so hard I literally start crying and can't breathe. I have to admit, I'm always tempted to laugh at the wrong times, but I haven't done it so far. I can't even count how many times I've laughed till the verge of crying! by & keep in touch! 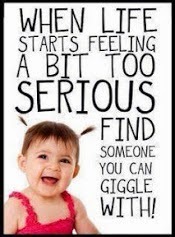 I agree with you - laughter is the best medicine ever! A great post - I agree we all need more laughter. But when I see my friends at the weekend and we are going out I feel relived. We laugh a lot, make fun and just be silly and I love it. I'm always finding myself laughing at the most inappropriate moments- I completely understand your choir story! June!! How have I not seen this post til now!? It's such a great one! I love laughing til your tummy hurts and laughing doesn't even feel fun anymore but it still is. Haha and it's always over the stupidest weirdest things. Just remembering them makes me laugh some more. Wow. Lovely smile J.
Oh, yes laughing is very fun! The perfect cure for anything! Thank you for this post, right what I needed! !